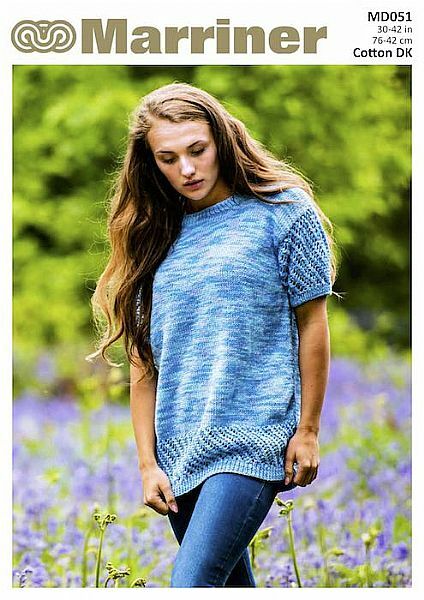 An attractive tunic pattern with contrasting sleeves and hem in Double Knit. Perfectly matched with our Smooth Touch Cotton Look yarn. Hooks required 1 pair size 31⁄4 mm (UK 1 0-USA3) and 1 pair size 4mm (UK8-USA6) knitting needles. Stitch holders.